While star tiaras were perhaps more popular in the nineteenth century, there are also many antique pieces that incorporate sun and sunburst motifs. 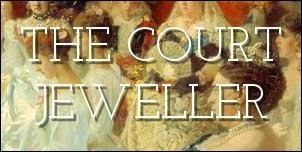 Today’s piece is the sunburst tiara of the Baden family. The family were the heads of the German grand duchy of Baden until 1918, when their titles were formally abolished following World War I. But although the Badens lost their titles, they managed to keep their tiaras, including this one. The piece consists of seven diamond sunburst brooches of varying sizes set on a tiara frame; as you might expect, the piece can also be broken down so that the brooches can be worn separately. As with many heirloom tiaras from former royal families, the provenance with this one is a bit murky. No one seems to know precisely when or by whom the piece was made. The earliest photograph that I've found of the tiara shows it on the head of Princess Theodora, the mother of Maximilian, the current margrave. (Theodora also happens to be one of the four sisters of the Duke of Edinburgh, which means that the current Badens are close cousins to the Mountbatten-Windsors.) Theodora wore the tiara at the celebrations for King Gustav V of Sweden’s 80th birthday in 1938, at one of the last major gatherings of European royals before the start of the second World War. There is some speculation that the tiara may go back further into the lines of the extended Baden family. 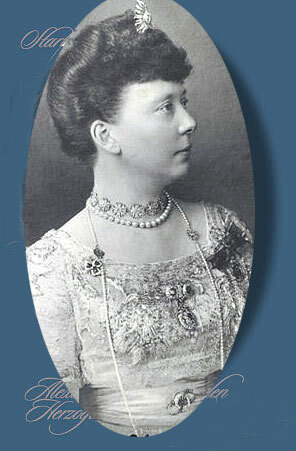 There is a portrait of another Baden princess, Alexandrine (who later became the Duchess of Saxe-Coburg and Gotha, and therefore the sister-in-law of Prince Albert of the UK), wearing a single sun ornament in her hair. Some believe this might be one of the brooches that make up this tiara, and if so, it would date the piece to the middle of the nineteenth century. There's also a portrait of a princess from another branch of the Saxe-Coburg and Gotha family, Princess Mathilde (see above), wearing a similar sunburst tiara, but I believe they are two different pieces. In more recent years, the Baden sunburst tiara has been worn by other women who married into the family. When Archduchess Valerie of Austria married Maximilian in 1966, she chose it as her wedding tiara. So did her daughter-in-law, Stephanie, for her 2001 wedding to Prince Bernhard. Both Valerie and Stephanie have also worn the tiara to more recent events. Stephanie wore the sparkler at Prince Albert of Monaco’s wedding reception in 2011, while Valerie sported the piece the following month at the reception following the wedding of Prince Georg Friedrich and Princess Sophie of Prussia.